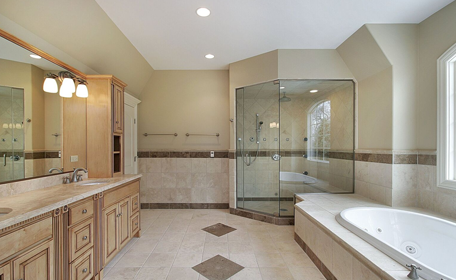 Rejuvenate your bathroom with a customized glass shower door replacement & installation. 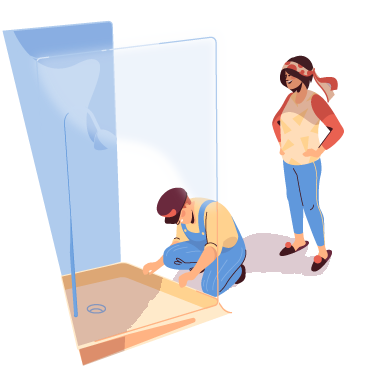 A shower door replacement can revitalize your bathroom while also saving you the cost of completely gutting your shower’s base. At Mike the Glazier, we offer a variety of contemporary designs with various sizes to match any budget. If you are looking a custom shower door, we can precisely deliver exactly what you are looking for. We will collaborate with you from the design phase all the way through shower door installation. Whether your shower door goals are contemporary and functional or elaborate and elegant, Mike The Glazier is ready to bring your next project to life. A frameless style will lend a sleek, classic look, and can help to create a more open spacious feel. A framed enclosure can add elegance to your bathroom, especially with your choice of anodized metal or powder coated finishes. We also offer high polished aluminum, commercial grade hinges and rollers, and full length seals. Achieve the look and function that you envisioned with our variety of custom glass finish options.